This has been rated as one of the best Rifle scopes out there. Whether you want 3 gun competition, tactical applications, or even your hunting adventures, the new Cronus BTR rifle scope is just what the doctor ordered. The ATSR2 SFP IR MOA reticle is specifically designed for 3 gun competition (68 grain hornady and 69 grain sierra cartridge) and any Nato 5.56/.223 caliber rifle with hold over points for both bullet drop and wind. The 1.4 moa red dot is perfect for zeroing your rifle scopes at 200 yard and the open centers below the center red dot are for targets at 300, 400, 500, and 600 yard. The unique design of open centers does not block any 12~18 inch targets beyond 200 yards and allows a shooter to take a quick shot once a target fills up the gap in the middle. The openings on horizontal lines below the center are specially designed for holding over 5 mph and 10 mph wind. This Cronus BTR 1-6×24 Model has ATSR2 second focal plane illuminated MOA reticle in it. 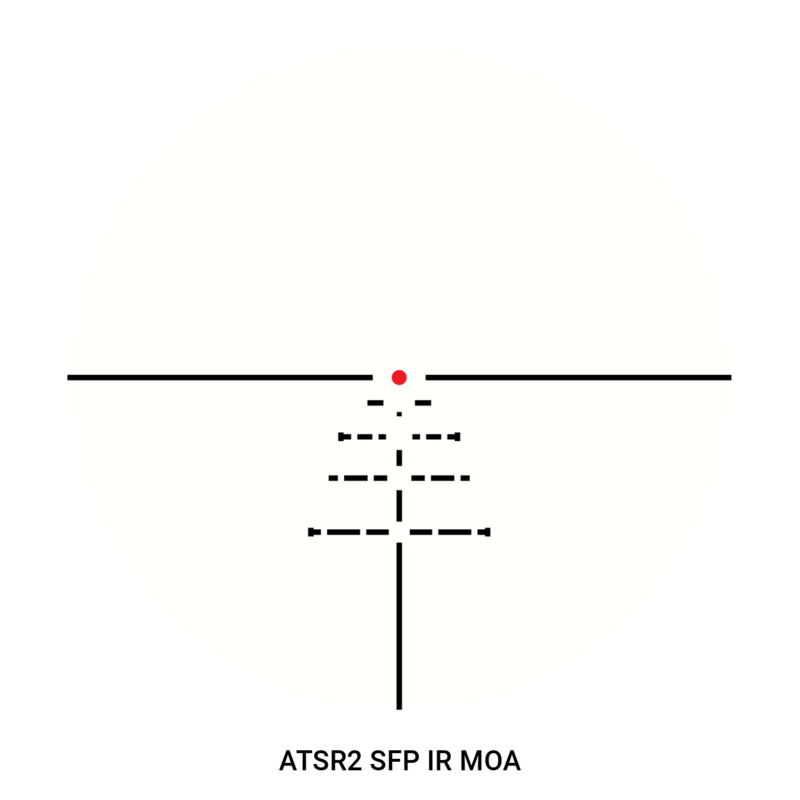 Please click the link for detailed reticle subtension. Locking Turrets This Locking Feature allows you to push down to lock the turret and pull up to turn. This feature prevents the knobs from being turned accidentally and keeps your zero all the time.